This week the Southern Highlands of NSW is buzzing! - So much is happening in our area right now, it is one of the busiest times of the year... especially in the art world. Galleries are open everywhere with new work and art shows and events are filling our usually empty community halls for the next month. This week artists everywhere are getting their work ready for viewing as the Southern Highlands Arts Festival kicks off. One of the prettiest villages in the Southern Highlands is Burrawang, a little town about an hour and half from Sydney. This week five women from the country are arriving with their work to exhibit at one the Highland's tiniest galleries, the Old Post Office Gallery, owned by artists, Geoff and Jeanne Skinner. 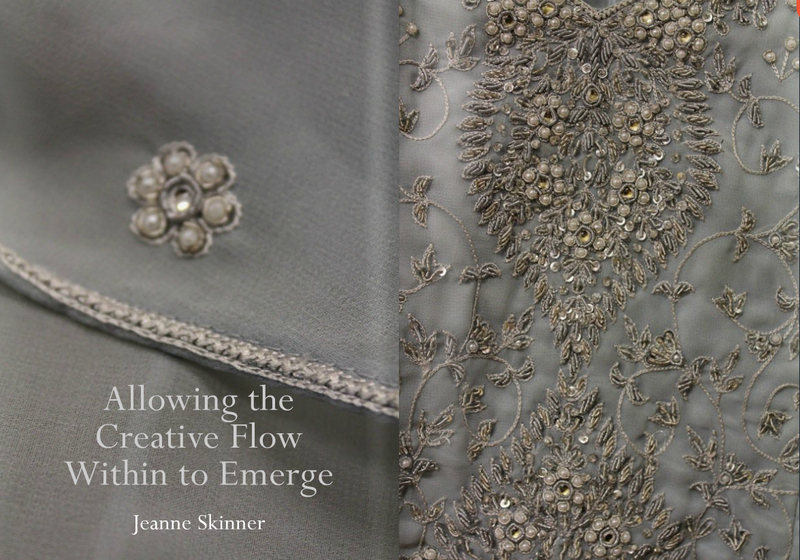 Jeanne wrote a wonderful story for me last year for Styling magazine, July 2013 about "Allowing the Creative Flow within to Emerge". Like mother, like daughter - This week, Jeanne has cleared all the existing artwork off the walls and handed the keys of the gallery over to her daughter, artist Kristen Skinner. Kristen and four of her good friends, all artists, are coming together as a group for the first time to exhibit their work in an show called "A Space Within". 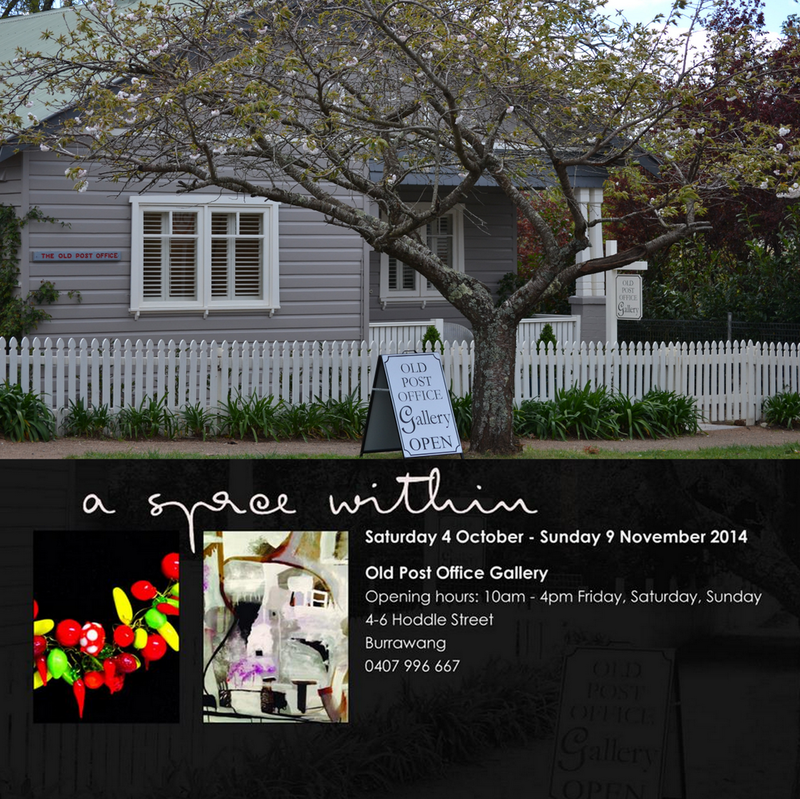 I asked Kristen to share what this exhibition "A Space Within" means to her. Everyday life swirls around us like a chaotic, task filled avalanche of to-do lists. For women there is also an emotional to do list that can become an all consuming labour of love...for family, for paid work, for home. That is not to say that these tasks cannot be fulfilling in some ways or are not completed with a sense of gratitude and giving; however, I know for myself as a creative person, there is another space, the space within that can be curiously put to the bottom of the priority list - so far down in fact that for seven years since the birth of my beautiful daughter I had barely given it the time of day. This space is a sacred place, a powerful place. Was I to be put on a desert island tomorrow with the barest of essentials (and in my case, art supplies!) I know I could keep myself entertained and stimulated for years by just going to the space within. The fascinating part is that even when this place is ignored — even for years — and then you make it a priority again, its richness has not diminished; the calibre of ideas is still there. Perhaps the technical skills to communicate the ideas are a bit rusty but of course once you make the space the priority, then the skills are practised and come to fruition again. So to our group show The Space Within, in which women connected by friendship and profession have decided to create with a deadline and show, in order to reactivate that sacred space that has always been within us. Many attended art school in our youth, whilst others waited until retirement to activate the creative space that was always within. We all work in a contemporary style and use all sorts of media. We are professionals with a high personal standard for presenting our work and look forward to people visiting The Old Post Office Gallery and enjoying the creative places we have gone to in order to create beauty and meaning and fun for our audience of gallery visitors.